After winning the toss on a very warm night Richmondshire decided to bat first. After losing both openers in the first 7 balls with the score on 0. Up stepped Jake Percival and Joe Carruthers with some very good running between the wickets and some nice 4's they put a 59 run partnership for the 3rd wicket before Jake retired on 30, Joe went on to retire on 33. Then Alex Nimmo carried on the fight with an unbeaten 29 in his innings there was some lovely shots for 4's. 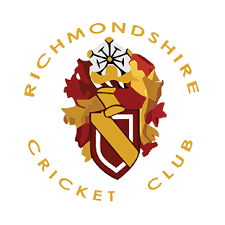 Richmondshire finished on 114 for 3. Billingham started quickly but with a run out and some good quick bowling from Jake with figures of 2-0-8-0 we slowed them down. With 3 of there players retiring on 30+ we were always on the back foot with another run out and a wicket each for Kai and Joe, Billingham still eased past our total with 15 balls to spare.